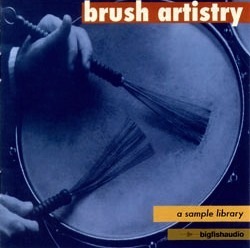 Brush Artistry is a collection of classic and contemporary drum loops and samples that feature the wonderful sound of brushes! This beautifully recorded library contains a full variety of organic brush patterns, including traditional swing, be-bop swing, ballad swing, jazz waltz, bossa nova, samba and country, as well as modern six-eight, folk, funk and latin styles. Each brush style is recorded at multiple tempos and includes full kit loops, intros, fills, endings and "snare only" tracks. The unique "snare only" track for each style and tempo can be used with the included drum kit samples (or use your own!) for endless brush track possibilities. 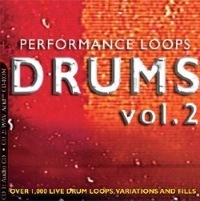 This DVD-ROM collection contains over 750 loops and samples, each in ACIDized WAV, REX, and Apple Loop AIFF formats. Stop using those lifeless and inadequate brush sounds that are found in so many samplers and synths, and put the REAL THING into your music! The Following End User License Agreement is included with Brush Artistry. This License is only valid for the individual who has purchased an unopened, new and lawfully made copy of Brush Artistry from a dealer or distributor authorized by Big Fish Audio. Brush-kit samples have been included in sound sets for quite some time, but they are considerably more difficult to program than standard drum kits. The variety of articulations you can achieve with brushes on a snare can be bewildering, especially for non-drummers. Got brush? 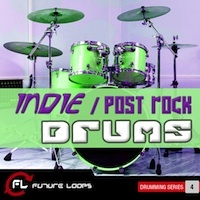 Probably not, as brushed drums have pretty much been brushed aside for sample CDs. 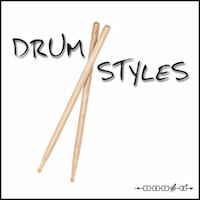 But no more: This CD offers 588 MB (755 files) of 16-bit/44 kHz brushed drums, arranged by style/tempo in 234 folders. Shining on the cover, there they are. The sweet steel brushes that give rhythm to that special atmosphere. For the first time there's finally a sample CD containing these juicy parts of the rhythm industry. Pros: Excellent, musical feel. Great tone and recording quality. Useful mix of styles. Snare-only tracks add further utility. Cons: Could use more cymbals. A little more flashy playing wouldn't have hurt. VERDICT: A welcome slice of rhythmic diversity in this dual audio/.WAV-format collection.